The "T" in LGBT - Transgender & Transsexual issues. Justice for All! 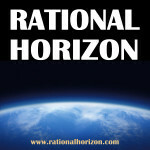 Rational Horizon 06 – The “T” in LGBT – Transgender & Transsexual issues. Justice for All! In this edition of Rational Horizon, Mark Boyd interviews Jess and Jordan Fitzpatrick, and their friend Rain Chamberlain about issues important to the Transgender and Transsexual community. Jess and Jordan are speakers at this year’s 9th Annual Heretic’s Barbecue. You can find their printed biography on the event web page. In this episode of Rational Horizon, Jess, Jordan and Rain help Mark understand some of the more pressing problems that are faced by people who are changing their gender. While the gay and lesbian community have made great strides in acceptance and legal equality, the trans community is lagging far behind, for several reasons. 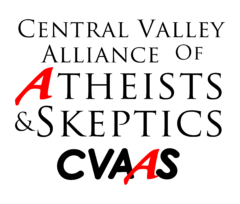 Mark learns about these reasons, which include attacks against trans people through conservative-sponsored legislation, through social and workplace discrimination, through violence, and through mindless computerized bureaucracy. We also discuss what the Fresno trans community is doing to assist transgender and transsexual people in need, and what they are doing in order to raise visibility and awareness of trans people with other Central Valley organizations. This podcast was produced from the interview audio. The original audio is available to listen to in its entirety in the Members drop-down menu. Only paid members of CVAAS can access this audio. If you would like to become a member, check our our store. 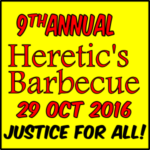 Members also receive a $5.00 discount from Heretic’s Barbecue tickets.